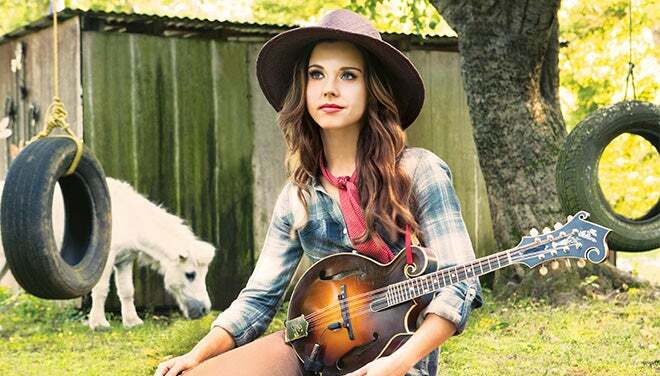 Sierra Hull has been recognized from age 11 as a musical prodigy and virtuoso mandolin player, astonishing audiences and fellow musicians alike. Alison Krauss called her to the Grand Ole Opry stage when Hull was only 11 years old. Two years later, she signed with Rounder Records and soon became known as a remarkable mandolin player, a tone-true vocalist, and a recording artist of high order. She has played at the White House, Carnegie Hall, and the Kennedy Center, and she became the first bluegrass musician to receive a Presidential Scholarship at the Berklee College of Music. Now a seasoned touring musician nearing her mid-20s, Hull has delivered her most inspired, accomplished, and mature recorded work to date. Weighted Mind is a landmark achievement in folk-pop, bluegrass, and acoustic music. With instrumentation comprised largely of mandolin, bass, and vocals, this is genre-transcending music at its best, with production by Béla Fleck and special harmony vocal guests Alison Krauss, Abigail Washburn, and Rhiannon Giddens adding to the luster.